We have a bunch of new robocar news recently -- it seems that is a common event. Here's the relevant stories, plus some notes on robocar doors. 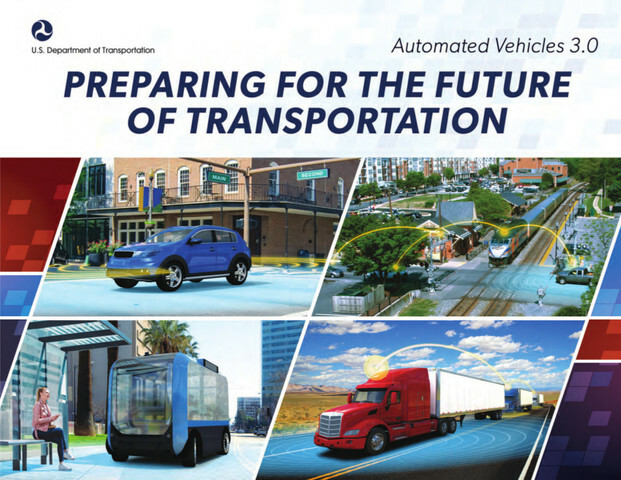 NHTSA has released "Automated Vehicles 3.0" which offers yet another run at writing regulations for the technology which is yet to be deployed. I have not yet had a chance to examine it, and will release more analysis next week. At the same time, the Senate is still working on their own robocar regulation bill. While somewhat bipartisan there are various blocks on the bill, including how it pre-empts local laws. Trial lawyers also don't like it as it seeks to curb the size of liability awards. Waymo announced they now have 10 million miles of real-road experience (and many billions in simulator.) This amounts to about 15 human lifetimes of driving. While they have driven most of that on relatively "easy" roads in California, Arizona and similar places, it still means they have seen a lot. More than you've ever seen on the road if you live in those places. This is so far ahead of everybody else it's ridiculous. In a surprising deal, Nuro has agreed to licence its self-drive technology, built for on-road delivery robots, to Ike, a new trucking startup founded by people from the Otto team. (Otto was bought by Uber in an infamous deal, and the trucking unit was shut down inside Uber.) Nuro will get equity in Ike. The deal is surprising because while Nuro is building a full on-road stack, their focus has been on the problems of delivery robots, which drive slower, urban streets and don't go super fast. The problems of long haul trucks are similar, but the environment is quite different. So it's a distraction from focus for Nuro, which needs to keep that. It seemed like Honda and Waymo were going to partner, but now Honda will partner with Cruise. Cruise recently also took a Softbank investment, a sign that it will continue to be a bit more of it's own entity rather than just a unit of GM. Of the world's large automakers, Honda has been one of the laggards on robocar development. We're starting to see some real consolidation here. It's also a sign of how hard it is for Waymo to form a partnership with car companies. Not because car companies don't salivate over Waymo's top-ranked technology, but because Waymo knows it is top dog. Car companies are not used to not being top dog in any supplier negotiations. They mentally can't get into the idea that they would be the supplier, not the leader. Don't be scared for Waymo. While big name automakers may refuse to be the supplier, there are tons who will be. Toyota has not been a laggard in starting projects like Honda. They have a good team at Toyota Research Institute and many projects underway. But they have wanted to be more conservative about it, and project far slower timelines. The other timelines may be realistic, but the reality is that if you shoot for a short timeline, you might slip, but if you shoot for a long one, you don't come in early. Softbank has been buying up mobility companies and investing a storm. So far I am not sure I see an over-arching strategy other than "own all the things!" I am sure more will come out in time. Now they are working together. At the same time, last month Toyota put $500M into Uber for self-driving cars. While it was suggested Uber might sell off their unit (which I felt was a good idea) this is not happening. Some Uber tech will be used to do ADAS in Toyota minivans, which will be favoured for UberXL, it is said, but I suspect that's not the real meat of the deal. A bit later than I predicted, Mercedes has said they will include a traffic jam self-drive system in the 2020 S class. Traffic jam systems solve the very simple problem of driving in a traffic jam. Those are easy because the speed is slow, and you are boxed in by other cars so it is always very clear where to go -- follow the car in front unless it changes lanes with no car in front of it. You don't really even need to see the road lines. If you don't know what to do, just stop. If there is no car close in front of you (ie. the jam has ended or your lane is ended) just stop if the human doesn't take over. On the highway, without pedestrians to worry about, this is easy and could have been done years ago. In fact, Audi has already released it. You are permitted (by the car) to read a book or use your phone, but not to sleep. When these products become popular we will see the first negative consequence of robocars for society. They will make traffic jams more tolerable. Which means more people will tolerate them. Right now, many people avoid driving during the height of rush hour if they can. If you can start getting work done during rush hour jams, people might drive more at rush hour. In time that will get solved but expect some backlash. Deals are flying left and right. Strap in, it's going to be a bumpy ride.